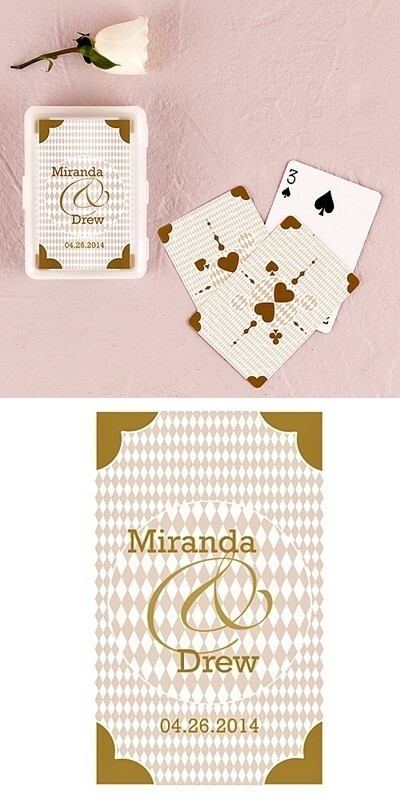 These decks of playing cards have been designed with a nod to the theme of love with a stylish metallic gold hearts motif and a "Classic Suits" design personalized sticker for the case. Your guests will be delighted to use them after the reception. PLEASE NOTE: The personalized sticker is for the plastic case, not each individual card. Due to personalization, this item must be ordered in multiples of 6 decks.